Diamond Way Buddhism UK have had our planning application to turn the Beaufoy Institute into a Buddhist centre accepted by Lambeth Council, and we’re starting to think about the details of our move to the Vauxhall/Kennington area. For the interior design features of the refurbished Beaufoy building, Diamond Way volunteers have been brainstorming ideas that fit within the parameters of the planning permission requirements. A group from the London Diamond Way Buddhist centre met in Lambeth to discuss next steps. There is a strong precedent for the style that a Diamond Way Buddhist centre might take in refurbishing the Beaufoy – Buddhist centres in other countries provide many fine examples. Diamond Way Buddhist centres are designed to provide traditional Tibetan teachings in a modern setting that fits in with the local culture – and what better place to offer a centre for British Diamond Way Buddhism than the historic Beaufoy building? The newly formed interior design team aims to create social and meditation spaces that are respectful to the Beaufoy’s listed features, whilst offering a contemporary feeling. The meditation hall in the Beaufoy Institute (in Tibetan, called a gompa) is likely to be rather minimalist in contrast to a traditional Tibetan Buddhist meditation hall. For us it is important to provide budding Buddhists a peaceful haven from London life, which means that clutter will be kept to a minimum. 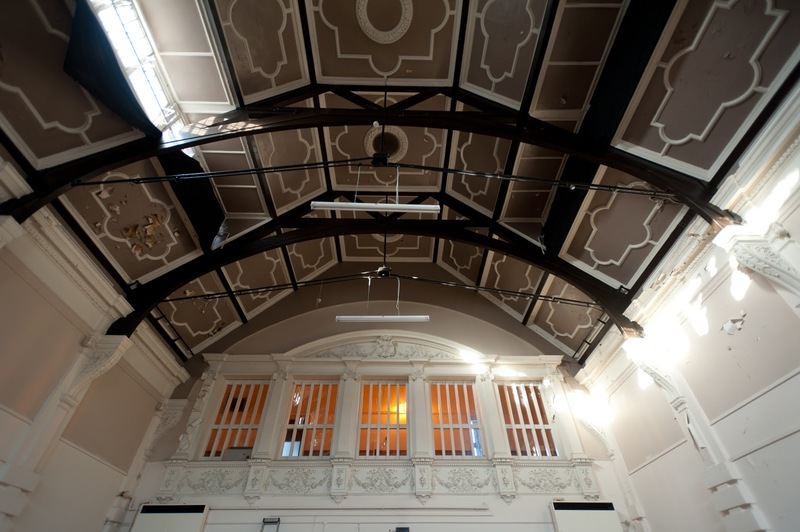 This will also work well with the Beaufoy Institute’s design features, such as the glorious roof of the main hall. We are currently fundraising for a beautiful large Buddha statue to feature in the main hall of the listed part of the Beaufoy building, where meditation and Buddhist teaching activities will be focused. We hope that the statue will be complemented by some beautiful Buddhist scroll paintings (Tibetan: thangkas) alongside our existing statue collection. 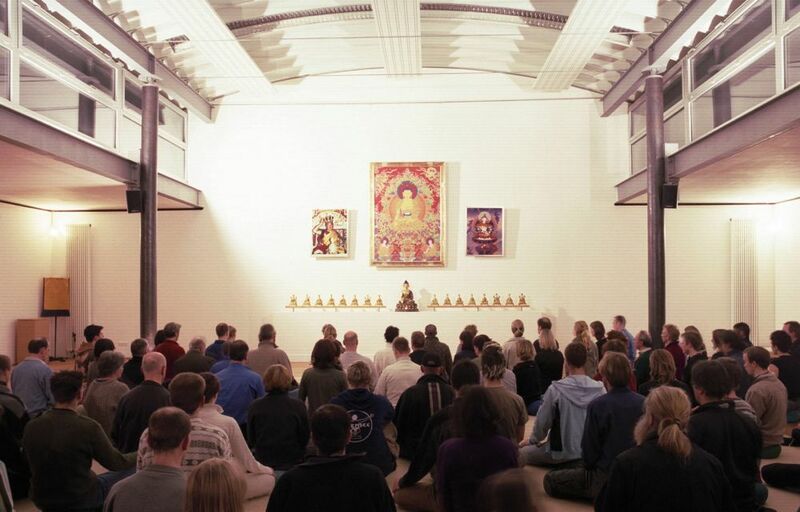 Here are some images of meditation spaces from other centres that inspire us: the small gompa of the Diamond Way Buddhist Centre in Immenstadt (the “Europe Center”) marries a fresh, modern style with listed features of the building, while the meditation hall of the Hamburg Diamond Way Buddhist Centre is much closer to the size of the hall in the Beaufoy. It is rather minimalist in design, allowing meditators to focus on the beautiful statue collection of all 16 previous incarnations of H.H. Karmapa. 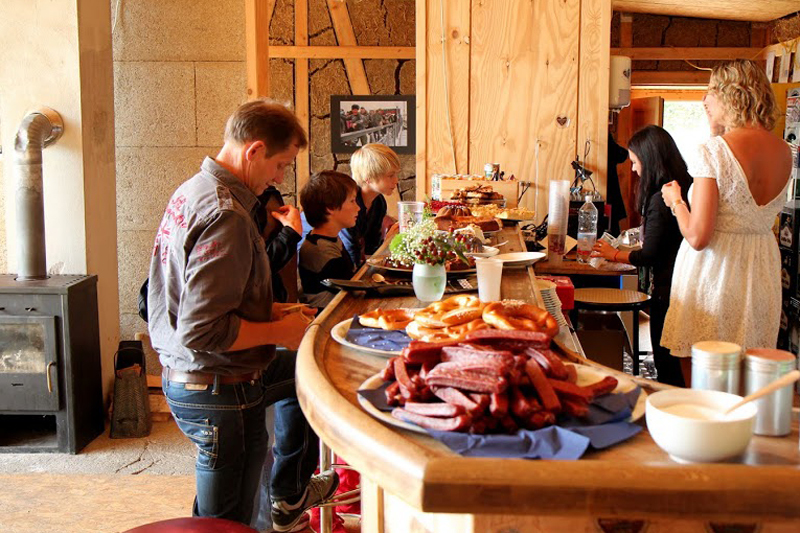 The community café and social area will play an important role in the Beaufoy, as in every Diamond Way centre, as this is where friendships are formed. We aim to develop a space that allows seasoned Buddhist practitioners and newcomers to mix; a space that welcomes families and people of all ages and that is flexible enough to cater for community meals, group meetings and to offer a more quiet space for reading or reflection. It’s a big ask! 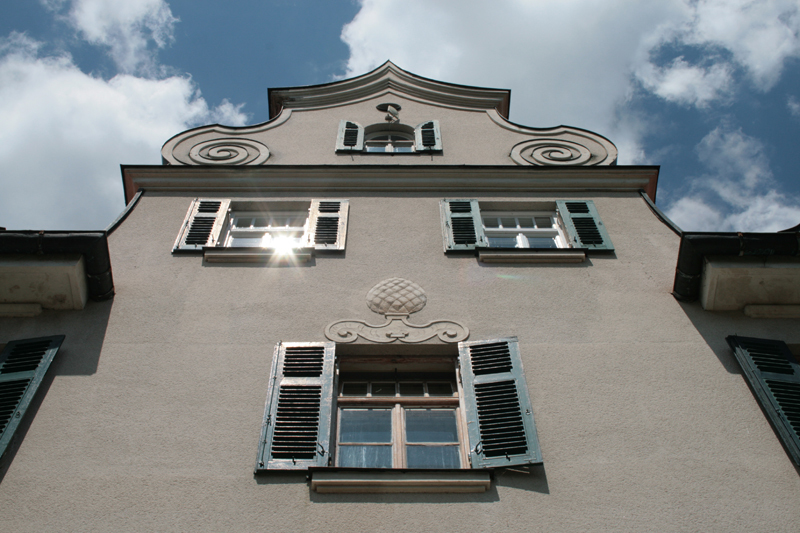 Diamond Way’s Europe Center in Immenstadt, Germany has shown how listed period features can be brought back to life in a tasteful, modern and practical fashion. There’s plenty for us to think about, from the colour of the meditation cushions, to the style of furniture for the café space. We’ll be keeping an eye open for more inspirational spaces – please feel free to suggest any spaces (Buddhist or otherwise) that we could look at. Interior design planning for the Beaufoy Institute by Diamond Way volunteers continues. Congratulations friends! It’s a stunning building and I can’t wait to see its renovated state! As for style recommendations, I’ve always thought Warsaw did their gompa, particularly the altar, very beautifully. I’ll email some photos.